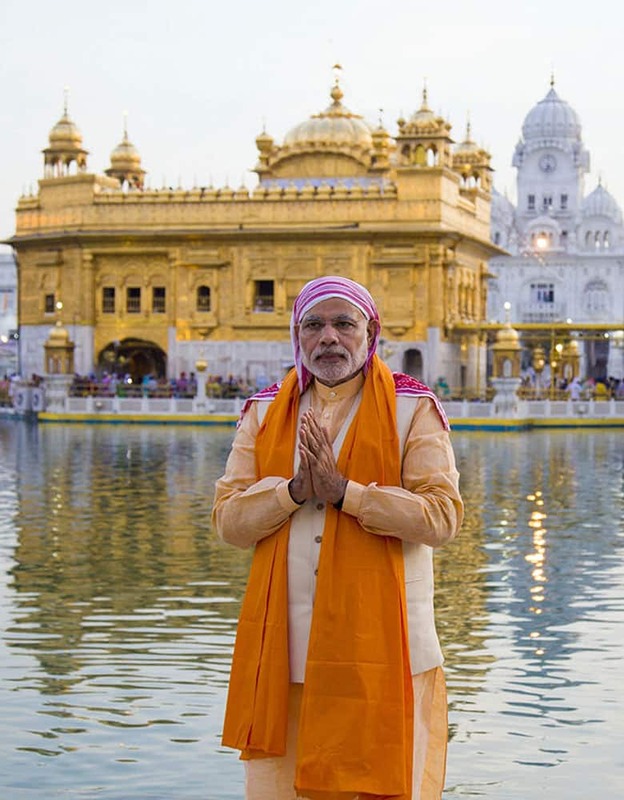 PRIME MINISTER NARENDRA MODI POSES FOR THE MEDIA AFTER PAYING RESPECT AT THE GOLDEN TEMPLE, SIKH’S HOLIEST SHRINE, BEHIND, IN AMRITSAR. 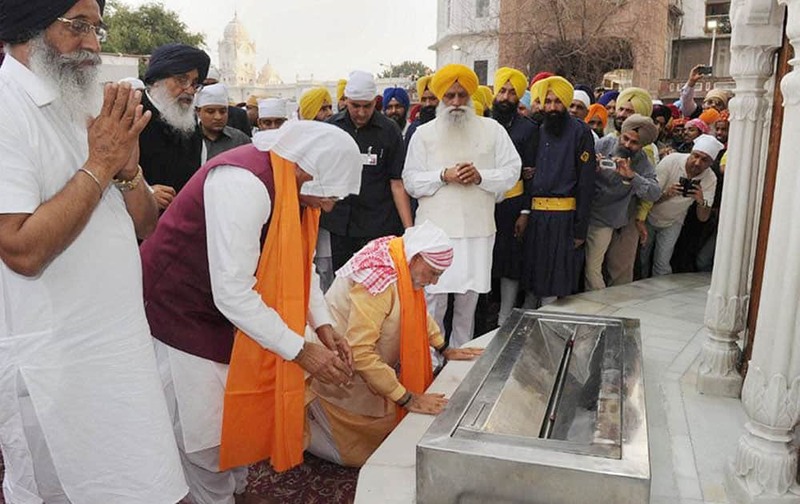 Prime Minister Narendra Modi during a visit to the Golden Temple in Amritsar. 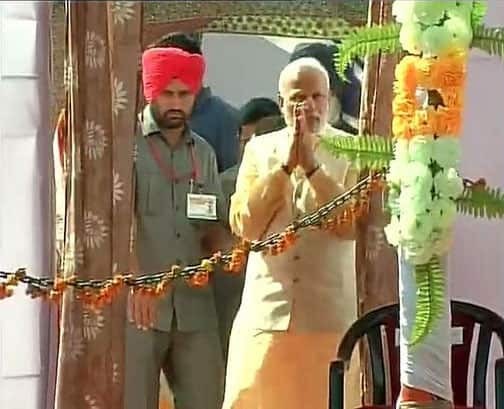 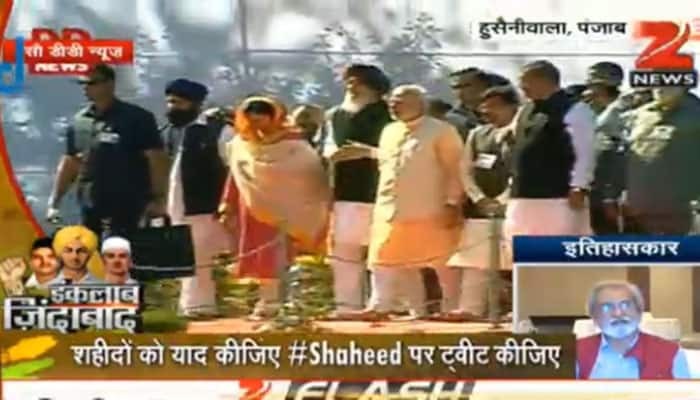 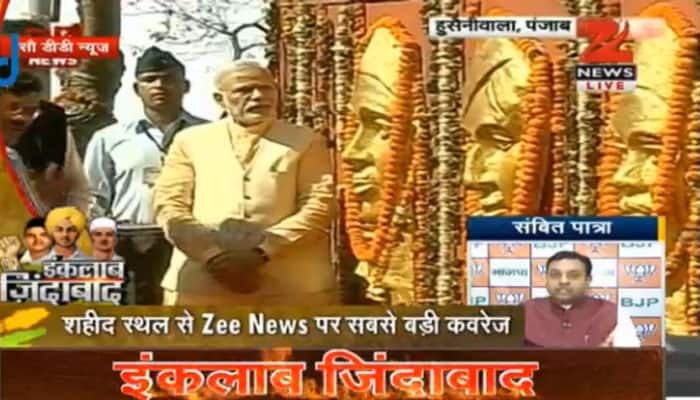 Prime Minister Narendra Modi paying tribute at Jallianwala Bagh in Amritsar. 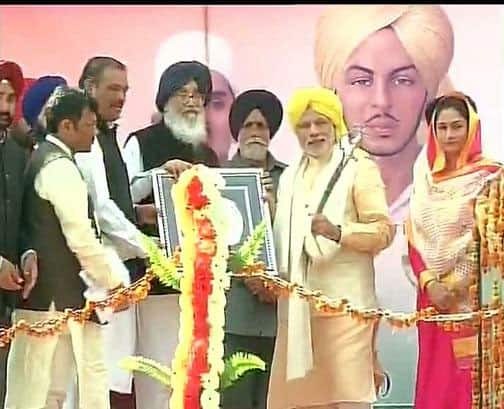 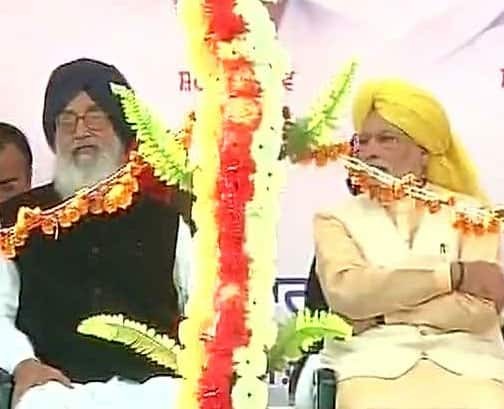 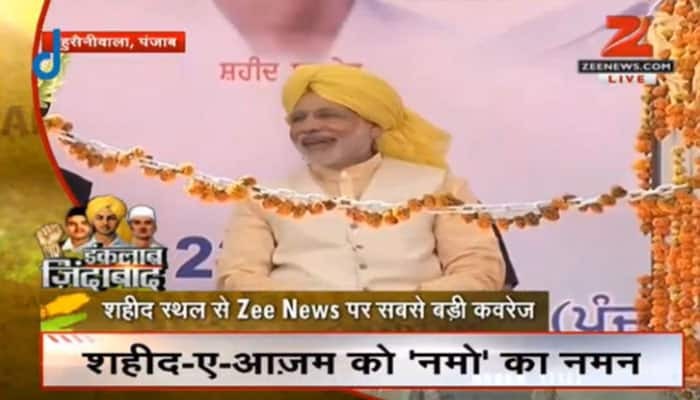 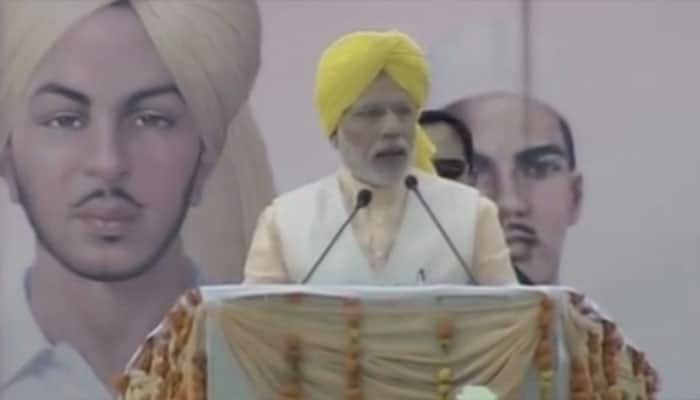 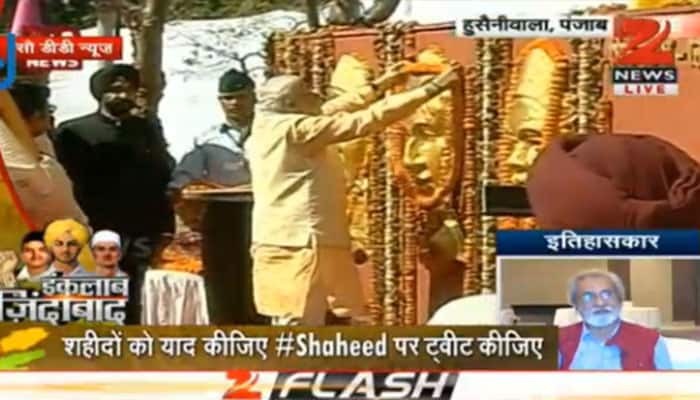 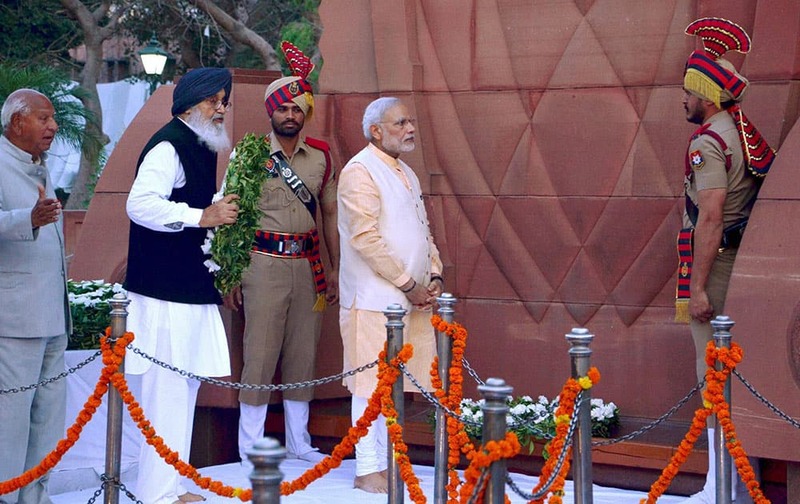 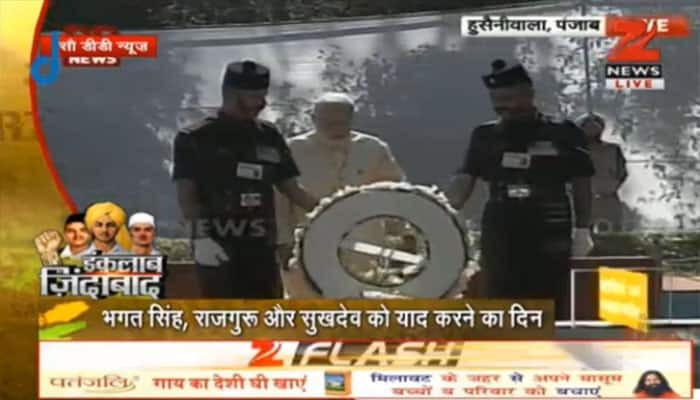 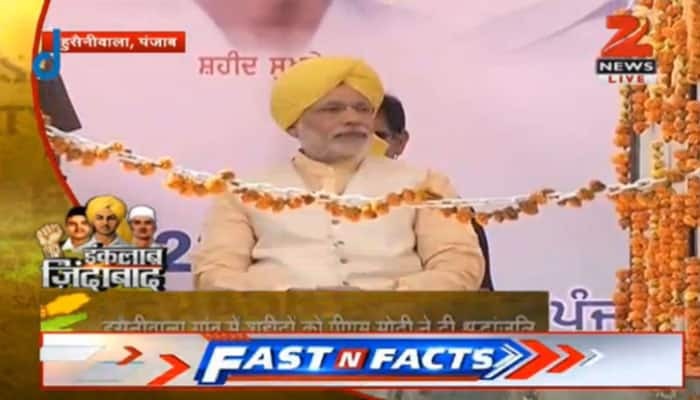 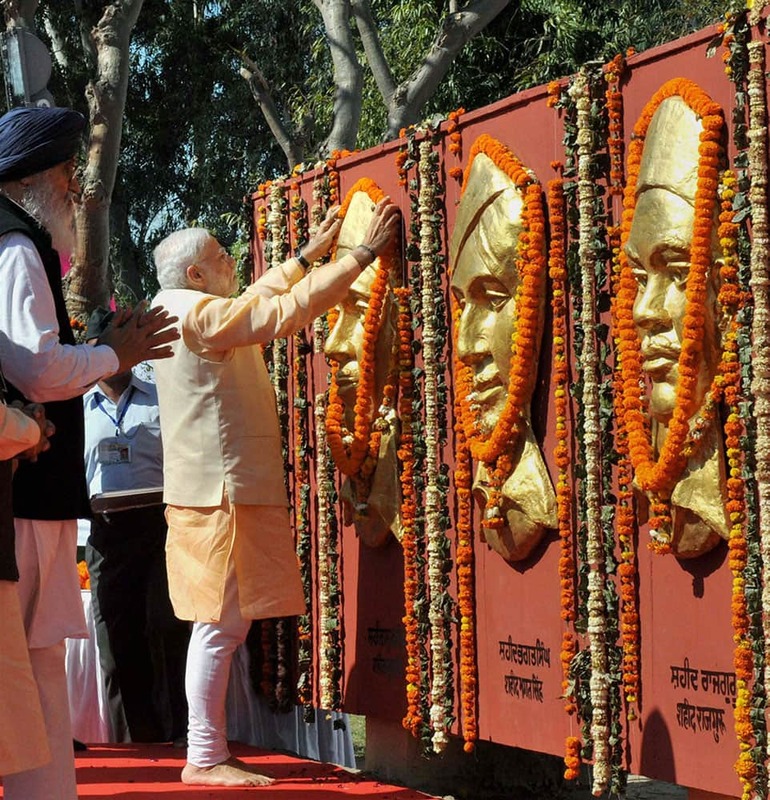 PM Narendra Modi paying homage to Shaheed Bhagat Singh, Rajguru and Sukhdev at National Martyrs Memorial at Hussainiwala.